Filmed by Bike is a film festival that features the world’s best bike movies. Every May they host an expansive festival weekend in Portland with 80 juried films on screen. Top picks from the festival are added to the Filmed by Bike touring program, which travels to countries all over the world throughout the year. It is always impressive to see the caliber of films that make the cut for the festival. With hundreds of submissions, it’s not easy to make it past the jury, so we thought we’d share a few top tips. Good news, PNW filmmakers! 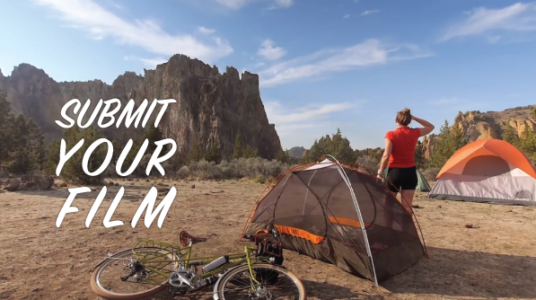 This year Filmed by Bike has a focus on local films so you just might have a better chance of your film being accepted if you’re from the region which they generally define as Oregon and SW Washington. In the early years of Filmed by Bike, the vast majority of the films shown at Filmed by Bike were from Portland. As the festival has grown in international popularity over the years, submission now flood in from all over the world. But Filmed by Bike wants to honor local filmmakers, too, so they’re making a consorted effort to recruit regional films. Short films are what Filmed by Bike is all about. Edit and re-edit until every shot is stunning and necessary. Films longer than 10 minutes are rarely accepted. It turns out, the team of Filmed by Bike is extremely accessible! Run your ideas by Films Manager Guthrie Straw and get suggestions and advice directly from the source. Beautiful adventure footage is inspiring… to a point. But after a while, those films all start to look the same. So what is your story? Why should the viewers care? Bring them along on your journey by weaving through a story. Filmed by Bike receives surprisingly few humorous films these days. A well executed funny one has a good chance of getting in. Are you a filmmaker? Or a die-hard Filmed by Bike fan? What are your tips for the World’s Best Bike Movies? Filmed by Bike submissions are due 1/20/2019. In fact, they’re due January 20th every single year. When you’re ready to send in your film, visit the Submissions Page on their website for all the details you need.